This once small village has changed beyond all recognition in recent years and continues to grow with high end properties and restaurants opening on a regular basis. 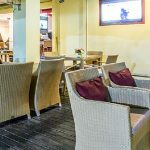 Amongst the better locations to go for a meal are Bliss Beach Club located right on the beach whilst down in the village there are restaurants serving a variety of local and international food at reasonable prices. 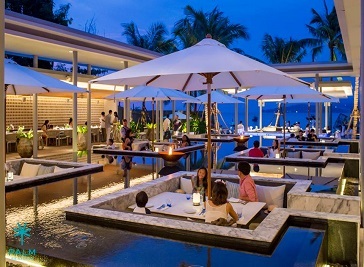 Further dining options can be found in the Laguna Phuket resort complex with its 4 and 5 star resorts and restaurants to match, while around the entrance to Laguna and around the Cherngtalay area, more local and expat oriented establishments can be found. This is a paradise for seafood lovers who are looking for a simple but interesting place to dine with friends or families. You can choose from a variety of live seafood such as lobsters, crabs, fishes, squid, many kinds of sea prawns and a lot more choices for your great dinner. Our chefs have the skill to interpret dishes to meet your own exacting standards and levels of spice and heat. Vegetarian? No problem, many of the finest North Indian dishes will delight you.